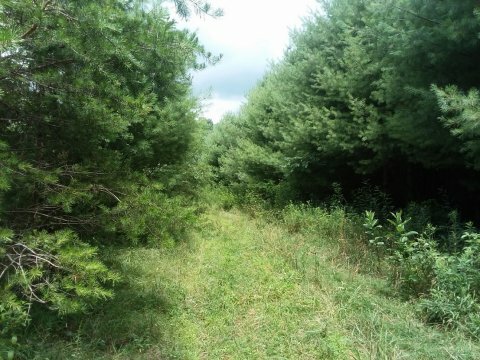 40 wooded acres in Carroll County, VA.
From the intersection of Poplar Hill Rd. and US 221 in Dugspur, travel South on Poplar Hill Rd 3.5 miles to property on left. 40 acres in Dugspur, Carroll County. Mostly wooded with 1,800 ft of road frontage and Burkes Ford Creek frontage. Mostly wooded with most being pine. Rolling and sloping with level building sites.